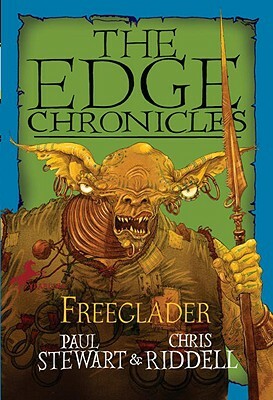 Fleeing from the ruins of New Undertown, Rook Barkwater and his colleagues — the librarian knights, Felix Lodd and his banderbear friends — must lead the escaping population to a new life in the Free Glades. But perils aplenty are ahead for the crowd — not to mention some goblins with plans of their own. This is the dramatic and exciting conclusion to the Rook Barkwater sequence that takes the reader on a thrilling journey across the Edgeworld. Paul Stewart and Chris Riddell are the creators of the Far-Flung Adventures and the Barnaby Grimes series.